A FilmingLife workshop packed with concepts, tips and step-by-step explanations of unique tools and colour grading techniques that build on each other. Blueprint the entire colour grading process from start to finish and breathe life into your films. This includes short family films, personal and client projects, online content, business promos. Over 2 hours of video lessons teaching you advanced skills related to color grading. Submit your color graded film for a personalized critique from Anita Perminova.. Learn advanced color grading techniques for filmmaking. + 1. Is this workshop right for me? Students who enroll in a Workshop must have an active membership in the FilmingLife Academy and a solid understanding of the basics of filming with your camera. Your access to the workshop is tied to your membership in the FilmingLife Academy. The techniques will take you from the very basics of color grading all the way through advanced concepts. + 2. Do I need to be online at certain times? This workshop is self paced, which means you can log on at anytime, from anywhere, and work through the lessons at your own pace. You’ll get instant access to everything in the course and can go through the training on any device — desktop, laptop, tablet or even phone. Q&A's run during set times, but if you are unable to attend you can still view the discussions that happened afterwards. + 3. What skill level do I need to be at when I join this workshop? + 4. Which editing software can I use? 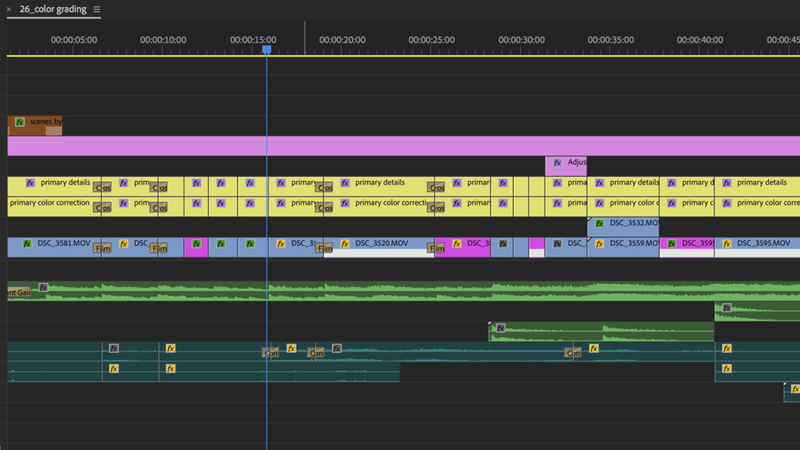 The workshop focuses on using the tool sets in Premiere Pro, but you can use any editing software to follow along with this course. It’s almost important to see the idea behind the general approaches than it is to get a specific step-by-step list of instructions. Whether it’s Premiere Pro, Final Cut Pro, DaVinci Resolve, or any other program, make sure you know it well enough to move around with confidence. + 5. Can I download the content? All the content is online and updated regularly as technology advances. Downloading it would mean it could be outdated within a year, so our content is only available through a monthly membership. There are occasional pdf documents included for digital download, but this varies by course. + 6. Where can I share my films and chat to other students? When you're enrolled in a course you'll automatically be invited to join a special group for this workshop inside the Student Hub where you can chat to each other and share your work! + 7. Where can I ask questions about course materials? The Student Hub is the place for all questions and discussions. Pop your question in there and Anita will answer for you!